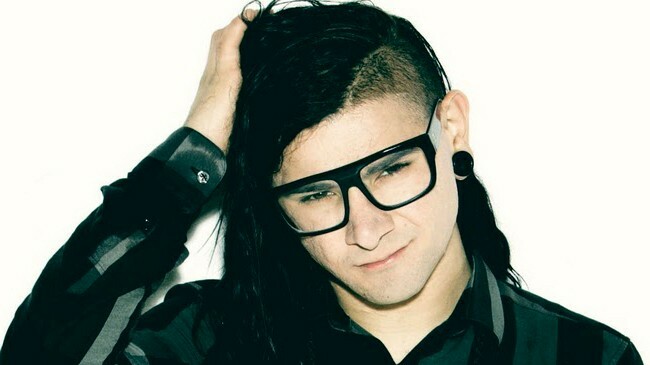 Controversies surround almost every artist in the world and Skrillex is no exception. However, more people of the world agree that he is unique and when doing dubstep there is no one like him. Skrillex produces and DJs (using as a verb) dubstep but his personal description of his tracks is that they are much more than dubstep tracks. He is only 27 years old right now and this tells us that there is still a lot of cool stuff to come from this amazing artist in future. His journey into music started as a vocalist for a band called “from first to last”. The real name of this DJ is Sonny John Moore despite the fact that he introduced his first EP with the title “my name is Skrillex”. It was great on his part that he let his then-fans download his tracks from the first EP for free. Skrillex is one of the rarest DJs in the world who have won multiple Grammy Awards. He has 6 in his possession. He has another group that he has formed with Diplo. The name of this duo is Jack U. Skrillex comes from Northern California and is a fan of nu-metal. Skrillex started his true musical journey with FL Studio – a software used for making music. He actually wanted to be a guitarist when he first contacted a band but had to be their vocalist. One of the biggest hits from Skrillex is Scary Monsters and Nice Sprites and another big hit from his is Bangarang that has over 300 million views on Youtube. “Make it bun dem” is another great track from him that many dubstep dancers have danced to. While his tracks are the anthems of today’s dubstep fans, his hairstyle is also one of the favorites around the world today. Just recently he talked to his fans on social networking websites and said that he was about to launch a new album but all of the work was saved on his laptop that got stolen from the hotel he was staying at. It was only 11 years back he discovered that he was not the real child of his parents but rather adopted. Fans who are interested in knowing what Skrillex (the nickname) means would be disappointed to know that this name actually means nothing. He just says that his friends used to call him this and that’s about it.